The Murder Complex is a novel in the tradition of Divergent, which combines a bleak dystopian setting with constant action and fighting. Meadow has been taught to fight, to kill, and to survive. Life is gruesome in the Shallows, and people will do everything for a few credits. The Initiative keeps everyone in line, but doesn’t put a stop to the hundreds of murders that happen every night. Meadow meets Zephyr, a Ward, a nobody, that somehow is important to the Initiative. There are two reactions to The Murder Complex: either people really like it, or they hate it. Of course, this is a generalisation, but I don’t think I’m wrong in saying that most people that don’t enjoy it are disappointed with the fact that The Murder Complex is a standard dystopian. And I don’t mean this in a bad way – it’s fast-paced, thrilling, enthralling and interesting. But it doesn’t innovate the genre, or change its boundaries, like some other dystopian books have done. If you’re tired of dystopian, this won’t be the book to get you out of the slump. 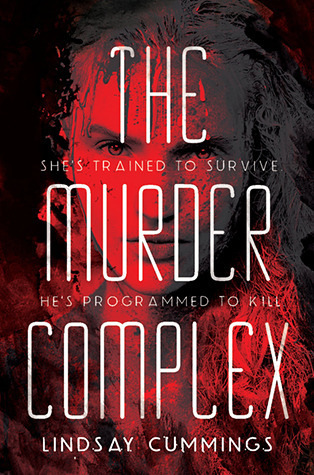 The Murder Complex is one of the most violent dystopian YA books I’ve read so far. The Hunger Games was pretty gruesome, but most books that followed it became tamer. Books like Matched or Delirium barely have any violence at all. The Murder Complex goes back to its roots, and doesn’t hide the fact that both main characters can kill without second thought. There is a lot of blood and plenty of dead bodies. I liked that the main characters Meadow and Zephyr are slightly… broken. They don’t always act rationally, and that’s exactly how I think someone would cope in a world like the one they live in. They have a single-mindedness, a tunnel-vision, that helps them survive. For Meadow it’s protecting her family, for Zephyr it’s staying alive for his best friend Talan. There is no denying that Zephyr and Meadow have some kind of odd instalove. It didn’t bother me much to be honest. In the world they live in there is no time to go on dates. You can’t go to the movies or cuddle on the couch. It’s kill or be killed – and if you can find love, you grab it with both hands and won’t let go. Some of the prose accompanied by the instalove made me cringe a bit, but the idea behind it I don’t mind. In regards to the world-building, I think the author opted for fast pace over information. There is enough world-building in the background to make it interesting and to make it believable, but it’s nothing like the detailed and thought-out world that a writer like Mira Grant creates in all her books. 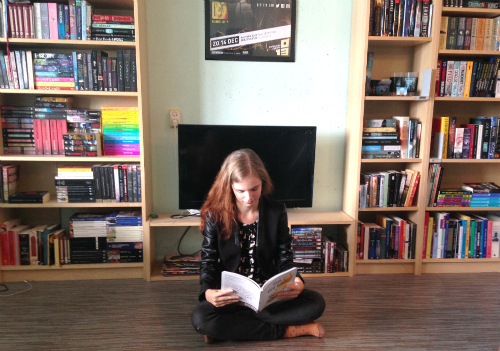 There was enough world-building to satisfy me – but it might not be enough for other readers. Compared to many of the other popular dystopians out there, I think The Murder Complex keeps its own. It makes more sense than Matched, handles romance better than Wither, and is more fast paced than Delirium. All I can hope for is that Ms Cummings doesn’t pull an Allegiant* in the rest of the series.